Biochemistry changes indicating atrophy can be seen as early as 72 hours after someone stops using a body part. The body naturally produces and degrades muscle proteins and maintains an equilibrium. The natural aging process slows down protein synthesis but “over-loading” muscle cells at any age can help to slow down atrophy. Muscles that have proper neurological signals can be strengthened with enough effort. Physical therapists are well educated to help someone combat the effects and symptoms associated with muscle atrophy. Patients suffering from muscle atrophy lose strength and stamina as the muscles waste away due to inactivity. Various injuries and illnesses such as a broken bone or being confined to the bed or a small space, can cause muscles to waste away. When the muscles are non-weight bearing for a period of time muscle atrophy can occur, resulting in a variety of negative effects. Physical Therapists regularly help patients recover from muscle atrophy in an orthapaedic setting. Most patients being treated in these facilities have experienced some type of muscle atrophy, leading to some or all of their symptoms. Muscle atrophy occurs when the degradation of muscle protein out paces the natural synthesis process of the proteins that make up a muscle. The two types of muscle atrophy (disuse atrophy and neurogenic atrophy) are commonly dealt with in the orthopaedic Physical Therapy setting. When a particular muscle or group of muscles is not used for a period of time, patients suffer from dis-use atrophy. There are studies that indicate there can be biochemistry changes in the muscle cell(s) indicative of an atrophy response within 72 hours of dis-use. These changes are miniscule but it is easy to extrapolate what occurs in the muscle cells of someone that is not able to move and use or unwilling to move and use a particular body part for several weeks/months. The effects of disuse atrophy can be devastating to someone’s functional capabilities. Many people are too sedentary and their muscles are atrophied, under developed and weak. People who are in a non-weight bearing environment (astronauts) or confined to very small places (POWs) are notorious for exiting their situation looking emaciated and extremely thin. The term “skin and bones” is commonly used because their muscle structure has “wasted” away to a bare minimum. Many of these people are unable to walk because their muscles in their legs are so atrophied and weak that they cannot support their body weight. By simply following a regimen using the proper amount of resistance training can reverse the effects of dis-use atrophy. Muscles will respond favorably to resistance training and the synthesis of contractile proteins will surpass the degradation process providing the patient performs the exercise routine consistently. The muscles must be exercised in a way that requires them to act against an excessive resistance force. This has been shown to produce hypertrophy of the muscle cells which is the exact opposite of atrophy. A more devastating and often times incurable form of muscle atrophy occurs due to a neurogenic response. The muscles of the body are dependent upon the nervous system to send proper electrical signals to them. If an improper, weakened or delayed signal is delivered to the muscle group, its ability to contract is significantly reduced. This causes the muscle to begin to atrophy. If no signal can be delivered (paralysis) the muscle cells will begin to atrophy and there is no way of stimulating the muscle adequately to reverse the process. Neurogenic atrophy occurs in diseases such as ALS (Amyotrophic Lateral Sclerosis), peripheral neuropathy, Multiple Sclerosis, Guillain-Barre Syndrome, paralysis and Polio to mention a few. Although Physical Therapists, scientists and a host of healthcare professionals continue to work on a cure for these dreaded diseases or conditions, the best that can be done at this time is to attempt to “manage” the symptoms. Muscle atrophy is a common symptom that is treated daily by orthopaedic Physical Therapists. The dis-use atrophy of the muscle cells weakens them and often times leads to other symptoms such as pain and immobility. These symptoms can be treated with an exercise program. 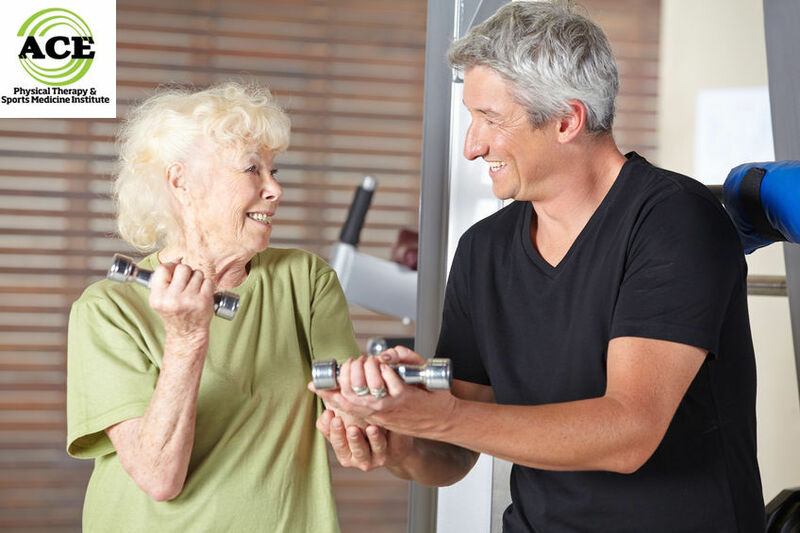 If the muscles atrophy due to a neurogenic response the goals of the exercise routine are to manage the symptoms and slow down the progression of the disease.